Many of my friends tried to convert a 1GB memory card to 2GB, and failed terribly. Thought it worked fine for selected memory cards, may of them were unlucky to get good results. Every thing goes correct if your process is safe and smart enough to escape from a issue. But if its corrupted, its bit hard to recover it back. And unluckily, most of us don’t know how to do that. We all face that common problem of exchange memory cards when they get corrupted. But wait! You no need to get a new one when ever your memory card is corrupted. You can fix your memory card with simple tools available in the market today. Before dumping any memory card into garbage, always give it a last try. Who knows, may be your card reader or phone has the ultimate problem. So now, all you have to do is to check whether your memory card is really corrupted or not. Check in your memory card with the help of a memory card reader, or a phone. If your memory card is detected, then follow the following steps to recover it back. 1) Connect your memory card to your PC and check the drive which is showing the location of your card. 2) Right click on your memory card drive and go to properties. 3) Click on Format button, you can see a pop up box showing the file system as FAT. Usually the memory cards support only FAT files. 4) Click on the start button but don’t check the quick format option, just leave it blank. 1) Open RUN by pressing Ctrl+R and type CMD and then press enter. 2) Now if the memory card drive. Say for example, my drive is L: then type L: and press enter. 3) Now type as format L: and press enter. 4) You will be asked for a conformation and enter your decision by pressing y or n. Which mean yes or no. Simply press y and wait until the format is finished. 5) This will create default clusters in your memory card and give your memory card a 100% success rate to work normally. Note: We would suggest you to format the memory card in your phone once for better adjustments of the phone settings. Even if you didnt find any progress in your memory card corruption, then simple download this application and follow the instructions. You wont be surprised to see your memory card back in action. Check out the below link to download the application. I am facing a problem in dongle use. I have Iball dongle. But some sims are not working. I used Loop sim it worked. Then I tried Vodaphone Sim it worked for some time and now it is not responding. Like wise MTNL Card is also not responding. Please help me. That’s odd, everything should work. Try asking customer care. thanks,i should try this,my sd card got corrupted this morning thats why i bumped here. My SD card is of 8 GB. I accidentally removed it wen my device was booting and running. Now, it shows memory card corrupted. Wen i connect it via USB, Win7 shows dat I:\ (the drive location) needs to b formatted. I formatted as per the given instructions. But dere r no results. After formatting it showing data capacity of only 30.6MB . CMD format also didnt work. as i put pictures in my 32 gb memory card,it shows the picture but as i remove and plug it in i can only view 3/100 images that also dissorted…what should i do to get away to this problem..help plz. Hi, my computer is not reading my micro sd card, I tried to put a regular memory card in the reader, and it read that, but when I inserted my micro sd card with the adapter it said “plz insert disc into drive” plz help, i really want to get the data that I have on the card off if anything else. thx and have a bless one. i have one problem. I have sd card of lg. When i insert it in my phone and click on memory card option, an error comes, “Memory card not formatted, Operation failed”. Hi, I cant see any drive alphabet allocated to the SD card drive. What can I do? Thank You Satish!!! My SD card was showing an error on both cameras I tried to use it in. I re-formatted on my pc with windows (in FAT, it was FAT32 before.) and the problem is solved! Thanks again!!! I have a samsung’s 2GB memory card. Recently it get’s currpted. When I connect it to the pc, the messege appears like ‘your memory card need to format’ and as i click on ‘yes’ after some time computer starts lagging and memory card is also not display by pc. But memory card is shown available both in phone and on pc. So, what should i do? Have you tried everything above? Thanks for share a wonderful article post for my memory card, but i tried Kernel for digital media recovery software can make things easier for you, as this recovery software recovers all possible data from corrupt damaged or formatted. but how to fix MicroSD if its NOT recognized by any device ?? Pls help me with my problem and how can I recover all my files,photos and videos ..??? this is really useful technique thanks..
Hi guys! I need help. My memory card isn’t identified by my Blackberry Curve 9300 or my computer. My memory car is an 8GB Micro SD. I don’t know any thing about technology or fixing this kind of stuff! Please I am in desperate need of help all of my files are there. I don’t have a memory card reader. I was just playing a game in my phone when my phone overheated, then the next day all my media files were gone. What can I do? this is really helpful for i have repaired two memory cards with this info.. Does it work in other phones? Does the card work in other phones? hi when i opened my memory card in the computer i see a character if i delete it it wont be deleted then when i copy a pic and transfer in the computer the image it wont copy then suddendy the windows pop up that the card is being formatted. You mean while copying it randomly says that the card is being formatted? Does it happen with all files? And have you tried a low level format? when i give these abve given datas in the cmd…. the result says that it not recogonised as the internal or enternal command…. Are you sure the directory and commands are correct? what if, i already connect my memory card but nothing appears in my computer ? It’s possible that the card is damaged. Does it work elsewhere? Make sure you’re in the correct directory. Having a trouble with my 4 GB sandisk memory card, the card is not formatting, data is not deleting it shows deleted but after a few seconds it appears again. It happens in other phones also. Try a low level format. While copying files on 16GB, there was interruption and card gets damaged. When I connect andriod phone to PC, it is showing the memory card drive, but I click on it, the error message is displaying saying “Please insert disk into drive”. Also same error occurs when trying to format the card. Could you please help me out on resolution. Have you tried using a card reader and directly connecting it to your PC? I rebooted my phone with my 4GB card in it and when I tried to access my card after rebooting the phone it said ‘memory card can’t be accessed due to fatal errors’ I tried connecting my phone to my PC using both USB and card reader but my card wasn’t being detected…please assist how can I fix this??? I have a micro SD card that won’t do anything. It doesn’t show it as a drive unless I go into disk management but from there it doesn’t give me the option to format. How can I make it work so I can use it again? Have you tried all the solutions on here? 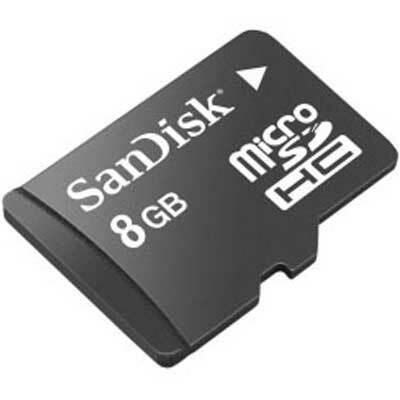 My 32gb sandisk micro SD card was somehow ejected from my Android phone unsafely. It has a few thousand pics and apps on it. Now my phone is saying it’s blank and needs to be reformatted. Tried inserting it into pc and the pc says it’s blank and needs to be reformatted. I’m trying to avoid reformatting as I’d hate to lose those special pics. Thanks! Sounds like the card got corrupted, I suggest you try recovering whatever you can from it using something like Recuva. my 8GB SD card was suddenly not detecting in my phone n in my PC too. can anyone help me in this issue….? I still have around 50 GB free space… I couldn’t add / delete any stuff in it… why I format, again all the files are back… what are my options now…??? By not detecting, do you mean it’s not even appearing in My Computer? Are you using a card reader? hello,i have an sd card.i unsafely removed it.then i put it in USB card reader but it does not appear on my pc and also not on disk management.i have really important data on this sd card.is there any hardware or software tool that i can use to see my card?or just even recover some of my data?please help. NOTE.i tried that sd card in different card readers but it does not show in pc nor in disk management. Try this, see if it shows up in DiskPart. Sounds like a hardware issue, have you tried it on other PCs? Hi I m using Samsung 16 gb class 6 memory card.. When I format it, it successfully formatted but after 1 or 2 hour all data on card comes as it is what should I do plz help me.. Thanks for sharing. I am using samsung 32 gb memory card. Connect the card to your PC and while formatting, select FAT32 as the file system from the dropdown menu. Make sure you select the correct letter and input the correct syntax, ‘Not recognized as internal or external command’ means that the commands you typed aren’t correct. Do you want to recover the data or are you okay with formatting it? Hi to all, My problem is i have a SD card with capacity of 4GB but it stores the media upto 200 MB. i dont know why it is storing like that ! Can anyone help me to solve this problem ? I HAVE A PROBLEM FACING ON MY MEMORY IT STILL SHOWS FORMAT MEMORY CARD I TRY A LOT BUT CAN’T FORMAT IT PLZ HELP …..
Pleaaase help me…. A tiny bit of my memory card is physically broken… I tried many thing and it foesnt work….. I enter the microsd in the adapter then in pc… As i done nothing.. Like a piece of junk…. My friend told me it maybe a hardware died… Please help me if there is a possible try ???????? If it’s not able to be read, your only choice is to take it to a professional data recovery service. Excellent discussion , I Appreciate the analysis – Does anyone know if my business would be able to access a fillable DA 31 document to complete ?